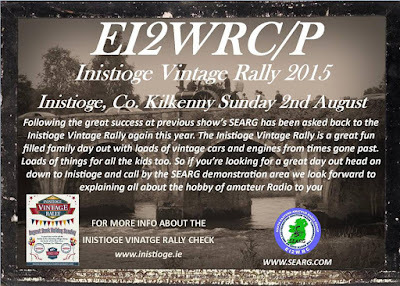 South Eastern Amateur Radio Group will again be QRV at the Inistioge Vintage Rally 2015 on 2nd August 2015. Activity will be on HF (CW and SSB). 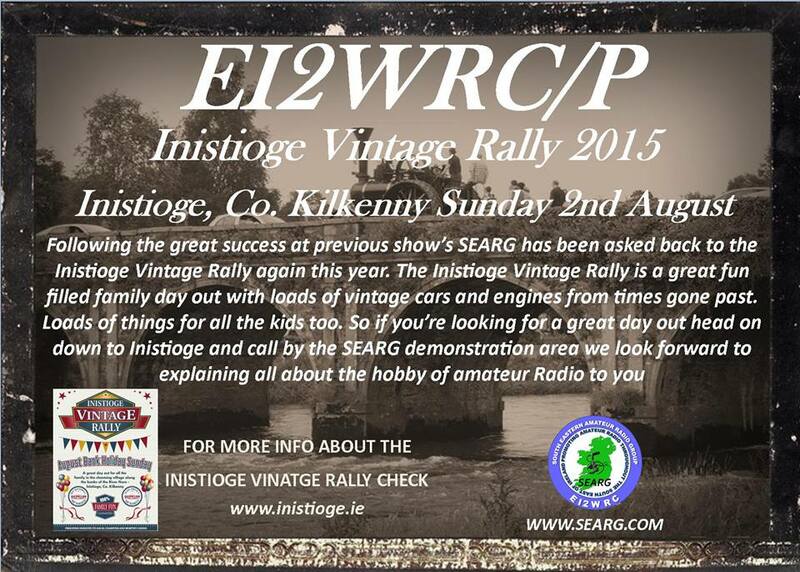 The Rally is a great fun-filled family event with lots of vintage vehicles and engines on display. There's amusements for the kids and a number of trade stands. If you're looking for a great day out, head to Inistioge and don't forget to call by the SEARG stand where we will be happy to answer any questions about amateur radio. EI2WRC/p at #ILLW Hook Lighthouse 15-16 Aug.